Hand Fan El Aura Beige. 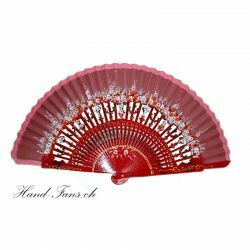 This beautiful Spanish fan is made of light wood ribs and stretched cloth. It is hand-painted on both sides. The wood is hand-painted and stamped and then painted. The cloth is beige. It is made from a traditional and prestigious Spanish manufacturer and imported by us. The fan is handmade original and painted on both sides. Color: beige lacquered wood with ornaments on both sides hand-painted, wood-cut to the painting, beige cloth. 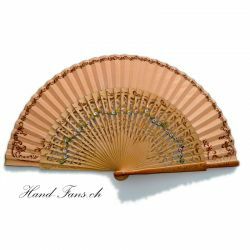 Hand Fan Sykomore Crema. 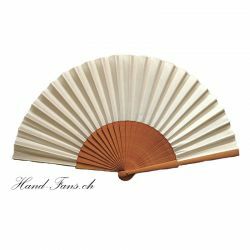 Plain but beautiful Hand Fan from mulberry - wood and cream-coloured cloth without any decoration. Ideal for daily usage. The wood is not treated and will get a natural patina after a while. 2 pieces Handfans velvet shell. 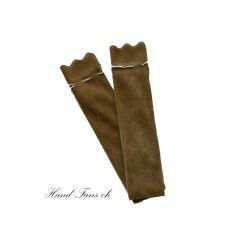 Fine brown colored velvet bag for storage of a hand fan. 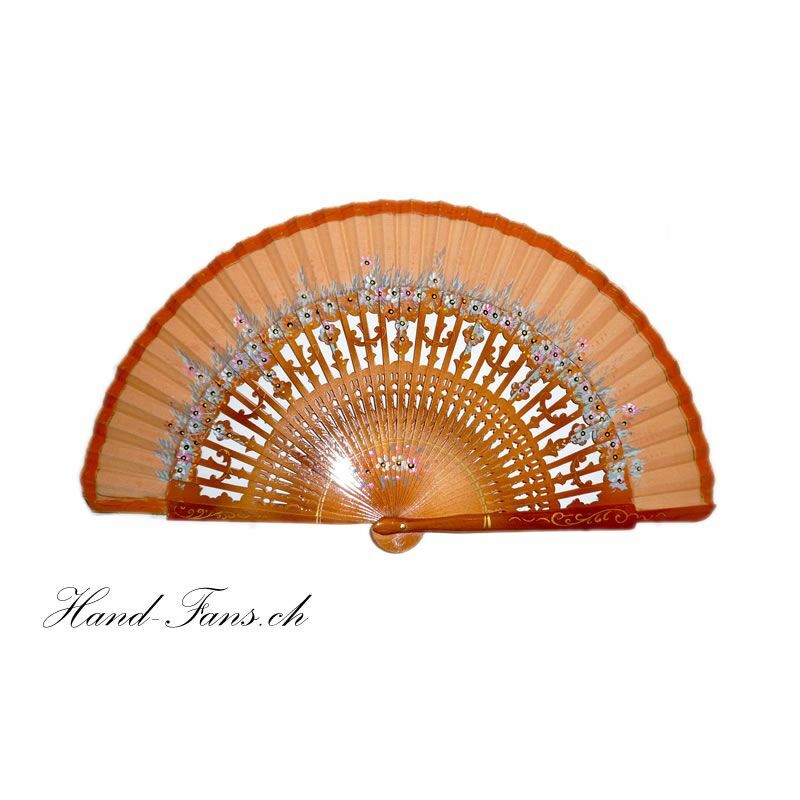 Suitable for hand fans with size of 23 cm x 2 cm. To seal at the opening with a small band. 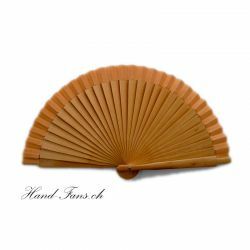 Handfans Nylon - Shell Gold. Fine nylon bags for packaging or storage of hand fans. Size 26 cm long and 6 inches wide. 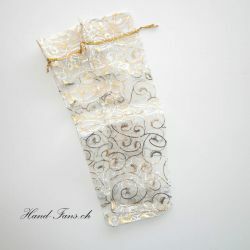 Light, white, nylon fabric with an embedded cap binding and golden ornaments. Ideal as a gift wrapping. Price for 2 pieces.